When the Deepwater Horizon rig sank last week in the Gulf of Mexico, 11 oil workers disappeared. The US Coast Guard mounted a hunt for the men by air and sea, scouring an area of 5,375 square miles (14,000 sq km). The massive search and rescue effort lasted for three days - exceeding the amount of time someone might be expected to survive in the given water temperature and conditions. It is a week since the mission was called off. A total of 126 workers were on the rig - most escaped safely. According to local media reports, interviews with some of the survivors revealed that the missing workers were in the vicinity of the explosion, suggesting the men never made it off the rig. So far, there are scant details about the unaccounted-for workers. The names of the men, who are believed to have come from Texas, Louisiana and Mississippi, have not yet been made public by their employers. Nine worked for Transocean, the Swiss company that owned the rig, and two were employed by a third-party contractor used by BP, which was leasing the state-of-the-art rig. According to Transocean, eight of its workers were part of a crew that operated the platform's drills. A spokesman for Transocean told the BBC news website the men were missing presumed dead. He said that the company was "working very closely with the families during this difficult time", and that the events of 20 April were being investigated. The families of two of the missing men have taken legal action against Transocean and BP, claiming unspecified damages. A lawsuit has been filed on behalf of Shane Roshto, a "roustabout" or temporary worker on the rig, on the grounds of negligence, accusing both companies of failing to comply with federal regulations and statutes. According to the action, Mr Roshto is believed to have been killed while following the instructions of his employer, Transocean, and performing his duties. The action filed by the family of Karl Kleppinger Junior, a Transocean deck hand, also cited negligence, claiming the companies had failed to keep the vessel "seaworthy". 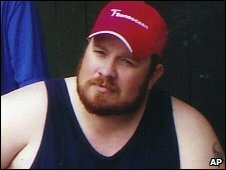 Mr Kleppinger, 38, of Natchez, Mississippi, was a former US soldier, who had worked on oil rigs for more than 10 years. He is survived by his wife and 17-year-old son. 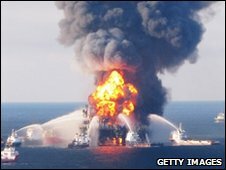 BP and Transocean declined to comment on the cases.